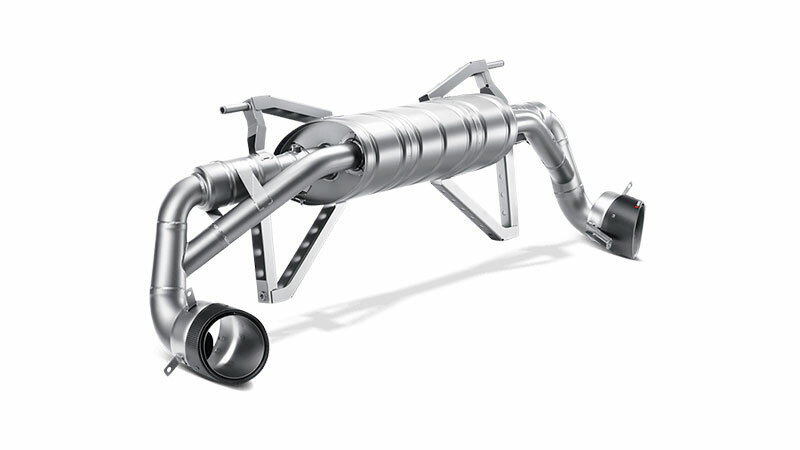 What could make a supercar even better? 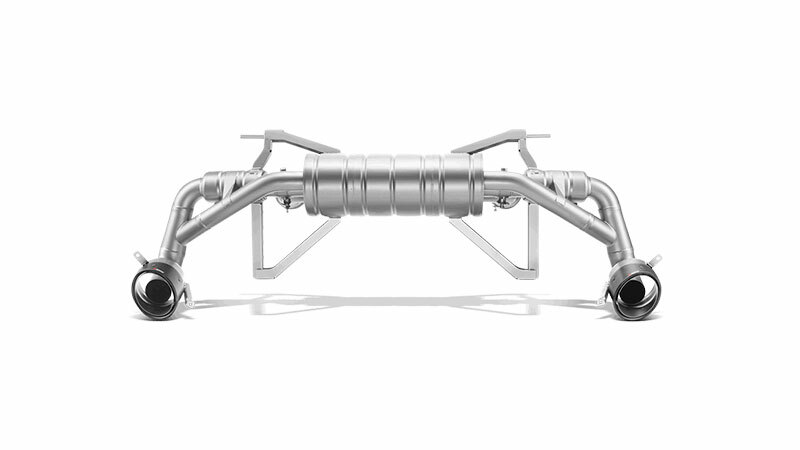 The answer: lower weight, more power, and an unbelievable change in engine sound thanks to this Akrapovic Slip-On exhaust system. 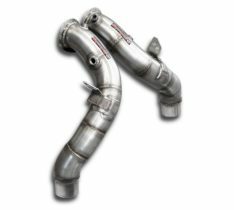 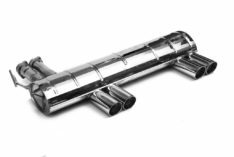 Constructed from our unique titanium alloy, our recision-engineered performance exhaust provides performance advantages over the stock exhaust and, thanks to the engine placement, weight reductions in the vehicle’s rear deliver substantially improved handling. 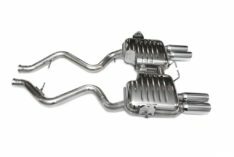 The combination of specialized muffler shapes, secondary resonators, and cast titanium dual-mode exhaust valves reduces back pressure and produces an incredible symphony from the V10 engine. 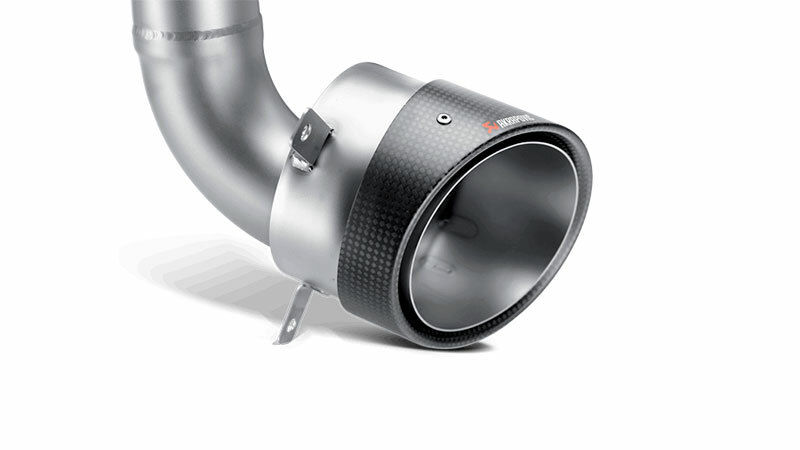 Complete the look with a set of two exquisite carbon fibre tailpipes. 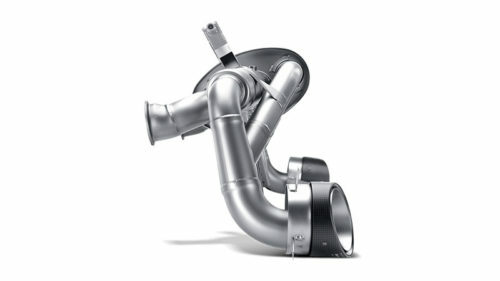 Select the optional Akrapovic sound kit for adjustable sound.